Passion meets purpose, dreams become reality. 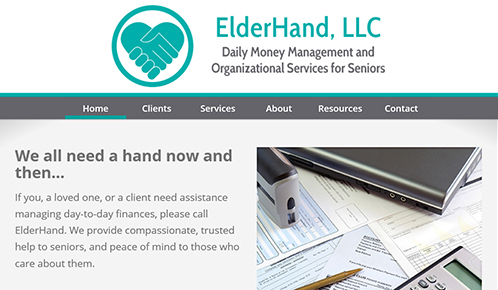 This senior money management site began with a template and was heavily adapted to the client's requests, including making the site itself resemble her business card. 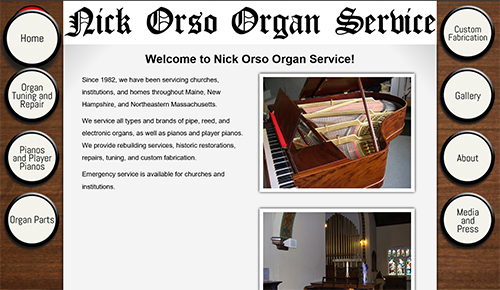 This organ repair service site was heavily customized to include organ stops as tabs and implement "Photoswipe" for the extensive gallery of Nick's work over the years. An action/arcade game released for the Nintendo Wii. Succeeded in directing the game from concept all the way to release. Lead a team of apprentice developers, two of which went on to work for a AAA game development studio. Utilized Agile-styled collaboration software for the documenting of bugs and planned features via user stories. Removed roadblocks as the team encountered them, from onset until completion of the project. Personally established a rapport with Nintendo of America which led to acquiring a developer license. Worked extensively with team members to design game systems and features. Wrote all documentation for the game, including the manual and in-game text, as well as working with translators to include multiple language support. Play-tested for countless hours while diligently documenting any and all bugs and inconsistencies, ensuring the game shipped bug-free. Interfaced with Nintendo's lotcheck team to meet their strict guidelines for lotcheck readiness. Created or recorded in-game audio assets, including SFX and voice lines. Created all promotional materials, including presskits, trailer videos, and organized and operated a booth at the PAX East tradeshow. Handled PR and gave interviews on behalf of the studio. "Fred James and the Curious Squid"
Interactive children's book made on commission, releasing soon for iOS. Created numerous features not included in the original software, including drag and drop functionality, framerate-independent timing, building a UI system from scratch, and dynamic visual effect reduction for slower devices. Created audio assets for the project, including sound effects and narration. Successfully deployed the application for beta test via Apple's "Test Flight" program. A top down survival horror/puzzle game featuring randomly-generated levels, resource management, and jumpscares. When an enemy is set to spawn in this survival horror (an event I'm triggering in the video via button press), the algorithm will first randomly choose a direction from the player's location, count a set number of tiles away (6-8 in the video), and determine whether or not the tile is an open space upon which an enemy can spawn. If it isn't, the algorithm will check the spaces immediately adjacent, parallel to the player. If neither of those are open, the algorithm will check up to 3 spaces in both directions and if it still cannot find an open space to spawn the enemy, it will choose a different direction at random and begin the process again (though it's all instantaneous from the player's perspective). With this system, I'll be able to incorporate some downright evil game mechanics, like spawning an enemy a few tiles in front of the player if they have their flashlight turned off, spawning an enemy in ahead of the player if they're dashing, spawning an enemy right around a corner, or even determining when a player is the most distracted and spawning the enemy then. I've temporarily raised the light level in this video so you can see where the enemy is spawning. In game, the player will only have the visibility of their flashlight and of course won't hear noise on spawn. Vocal Qualities: Unique, ranging from deep, warm, conversational, caring, all the way to commanding, gravelly, powerful and menacing. 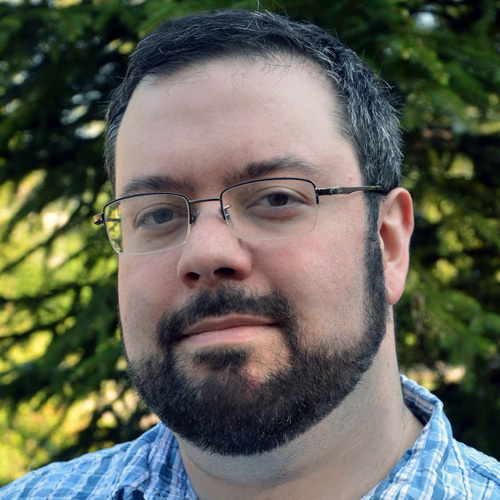 Visit my full voice acting site here.